Veteran Bryant Smith is a twice-decorated Navy Veteran and one year ago, he never thought he’d ever be excited about his future again. At that time, he lived in his car. Unable to bring himself to beg on the streets, he once went a week without eating. Each day, he trekked to the library every day to check his email on their free computers in desperate hopes for an interview; his cell phone was long gone. He went to a local gym for showers. Embarrassed and ashamed, he isolated himself. He tried his hardest to hide his homelessness. Veteran Smith finally got a part-time job working at $12 an hour, but he couldn’t imagine how this job could help him afford to move out his car. He turned to the VA at the edge of despair. Veteran Smith reports that he thought the organization would only help service members who were retired military; he had no idea of the programs they had available for him. He was given a list and he phoned three resources. Operation Renewed Hope Foundation phoned him back in 24 hours. After serving our nation for over 20 years in the Army Reserves, Sharon was diagnosed with pancreatic cancer. While undergoing chemotherapy, she was unable to work. After a month of receiving chemotherapy, the paychecks ended. When she was unable to pay August and September rent, she was forced to leave the residence where she was living and then became homeless. In January 2016, Operation Renewed Hope Foundation helped this Veteran obtain housing, employment, and become self-reliant. Sharon is currently employed as a Home Aide Caretaker, but not able to work full-time because she was restricted by the bus schedule. 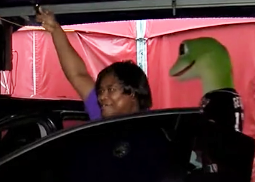 ORHF put her forward to receive a car donation from “Recycled Rides,” which she received on Friday September 30 at Nationals Stadium. See video, below. 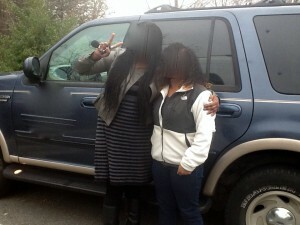 With this car, Sharon can work for any clients wherever they live, enabling her to become financially independent. She and ORHF believe this goal will be now possible by the end of 2016. After seeing combat in Afghanistan, “Manny” began to suffer from Post Traumatic Stress Disorder (PTSD). Once he came back to the United States, he was only able to work an hourly job and his retail employer never gave him more than 25 hours in a given week. Although he had seen other Veterans become homeless, he had never thought it could happen to him. 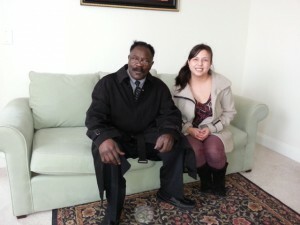 But unable to pay his rent while earning less than 40% of the area’s Average Median Income, he slid into homelessness. The chaos and unexpected noises of homeless shelters triggered his PTSD. 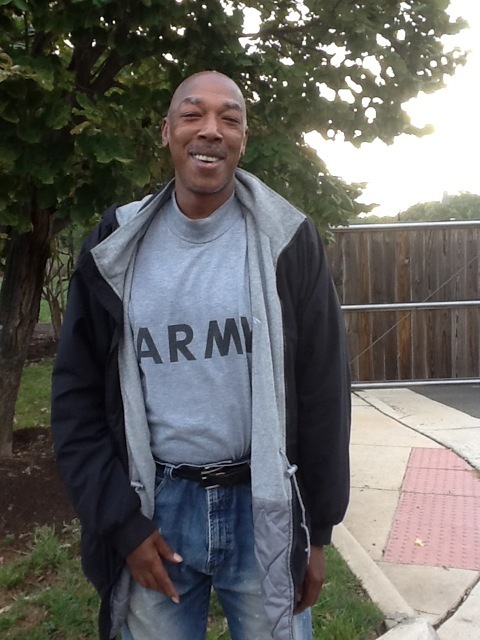 Operation Renewed Hope Foundation needed to get this Veteran off the streets. The ORHF case worker contacted the Veterans Administration and helped navigate their tangled machinery to expedite a disability claim. This income boosted Manny’s salary so that he could afford rent. 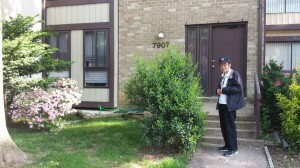 Next our case worker had to locate a quiet home and assist with the application. ORHF paid for the security deposit for an apartment in a private home and coordinated the donation of furnishing. Finally, our Veteran had a home. He reports he sleeps better at night. He is finally on the path to recovery. Good things happened to this Veteran: he’s finally out of Kennedy Shelter and into his own home. 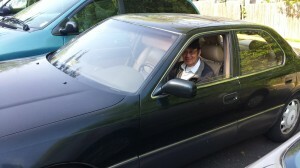 He also received his much-needed glasses from the VA Medical Center and his car is up and running. After receiving ORHF financial assistance and thanks to the diligence of his case manager, Kim Moore (right), today this US Army Veteran received the finishing touch to his apartment – a living room sofa. He no longer lives in an emergency shelter and now has a place to call home – fully furnished with donated furniture, bedding and household items and even a petite stereo system for music listening. A heartfelt thank-you goes out to all citizens who donate your gently used items thus helping our Veterans live the American dream. ORHF met “Susan” in April 2012 (photo altered for privacy). She is an honorably discharged Army Veteran who became homeless, unemployed and until January 2013 lived in a D.C. shelter. Thanks to her tenacity and ORHF’s assistance, Susan is now employed, has a vehicle and lives in an apartment with her teenaged daughter. Operation Renewed Hope Foundation is proud to thank Shapiro and Duncan, a cutting edge mechanical engineering and construction firm that includes design-build, fabrication, installation and maintenance services in the DC area. Recently, Shapiro and Duncan hired one of Operation Renewed Hope Foundation’s homeless Veterans, Mr. Dave Ricks. 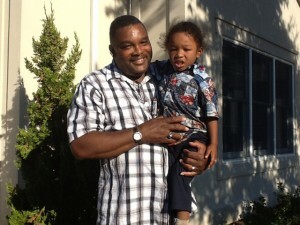 In just eight short months, with the assistance of Shapiro and Duncan and Operation Renewed Hope Foundation, Mr. Ricks went from living in a homeless shelter to living in a town house and is successfully providing for himself and his son. 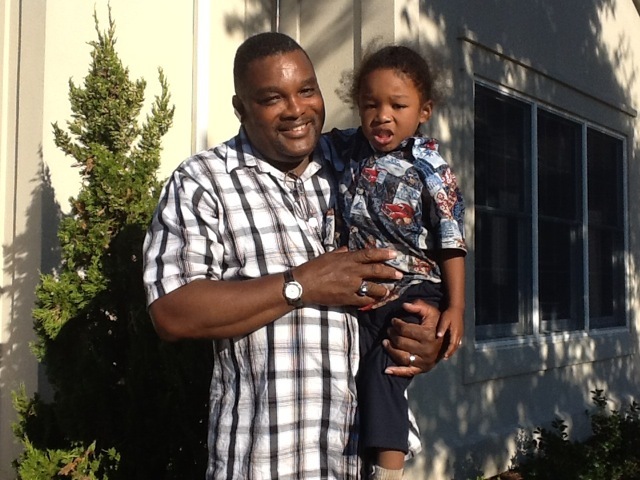 After 59 days of homelessness, this former Infantry Soldier is ecstatic to help provide his wife and son a home where he can now concentrate on finishing school to earn his CPA license – on target for September 2013. This single father is happy to have left his tent for a beautiful two bedroom apartment in Northern Virginia. His children, active in local area sports, are excited about staying with Dad in his new place. 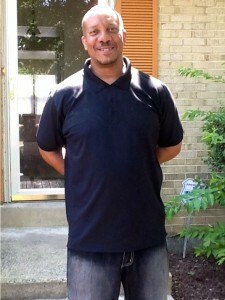 ORHF offers continued assistance with furniture and employment opportunities.